A mini mountain bike for little riders. 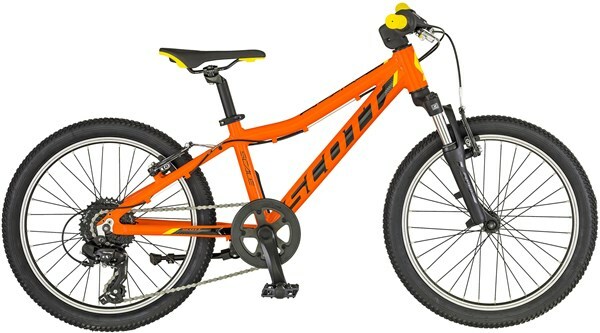 The Scott Scale 20w is a hardtail kids bike that is ideal for children aged six to nine years. With a suspension fork to take the sting out of rough terrain this 20” wheel Scale is ideal for cycling on dirt tracks as well as urban streets.